I have good mental health. After all, I don’t have a mental illness. People with mental illness and myself are fundamentally different. I don’t need to go out of my way to be kinder to myself or practice meditation or whatever. I’ve been there. All of the above, baby. That was me very recently, back in 2016. So if you know that you think these things, accept it, and don’t self-berate. Again, these are common misconceptions! This week (May 7-13th) is the Canadian Mental Health Association (CMHA)’s 67th Mental Health Week. In the past, their goal during these weeks was to combat stigma against mental illness and those struggling with mental illness. However, given the growing movement to #EndStigma, the CMHA has shifted gears! They are focusing on defining mental health, which goes far, far deeper than the absence of mental illness. Their campaign this year is #GetLoud about what mental health really is. So I’ll get loud here on my blog about what mental health is, and what it means to myself. This may or may not occur over a series of posts, so keep on the lookout! 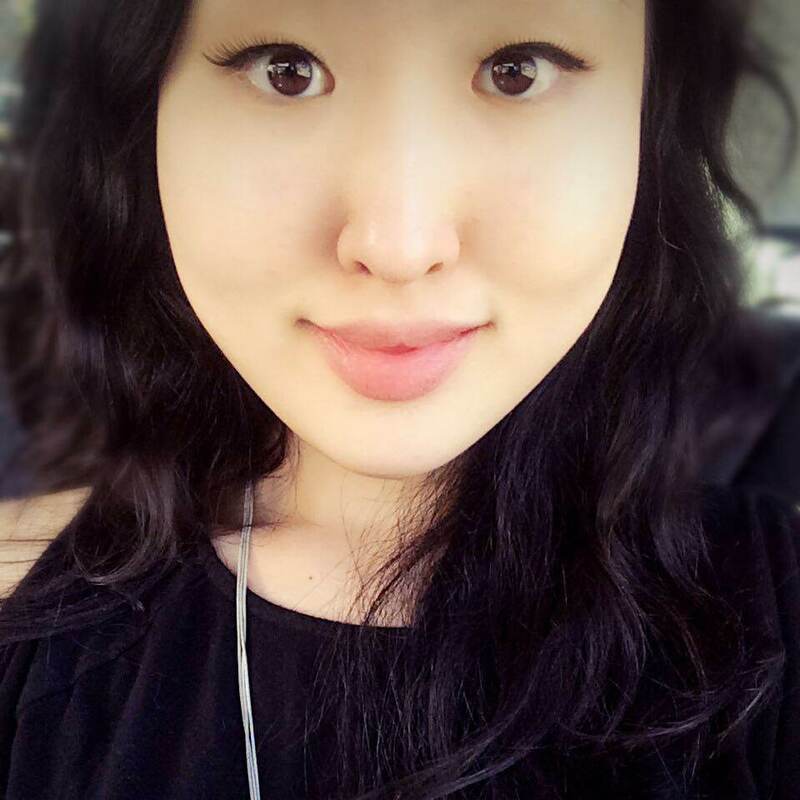 For those who don’t yet know of me, I am Nicole Kim, a mental wellness blogger, sufferer of depression and social anxiety disorder, fifth-year Health Sciences student, daughter, older sister, Korean-Canadian, stationery lover, dog & cat owner, writer, musician, gamer, and highly imperfect female. Everyone has mental health. Mental health is not the absence of mental illness. Let’s get clear on this. As the CMHA writes (2018), 1 in 5 Canadians experience a mental health issue every year. However, every single one of us (5 in 5) have mental health. A person can have a mental illness and have excellent mental health. Conversely, someone without a mental illness can have poor mental health. According to Mayo Clinic (2018), mental illness refers to a wide range of mental health conditions – disorders that affect your mood, thinking, and behaviour. All mental illnesses are diagnosed by psychologists or psychiatrists (two of the many types of mental health professionals) based on a set of criteria in the Diagnostic and Statistical Manual of Mental Disorders (DSM-V). The CMHA (2018) defines mental health as a state of being, including aspects such as your self-esteem, distress, and stress levels. It also encompasses how you feel about yourself, others, and the world. Thus, one individual may have good mental health on some days, and worse mental health on others. This person may or may not have a mental illness. Everyone has mental health. The idea that those without mental illness do not need to work on their mental health is misguided and false. Poor mental health/good mental health and mental illness/no mental illness…any combination of these can exist at one time. If you are confused, that’s okay! To illustrate this, I will use some personal examples. There are many spheres of influence for one person, but I will break it down to three: what people saw outwardly (those who did not know me especially), what was happening that they likely did not know about, and how I felt inwardly/thought about myself (whether or not these thoughts were true). You’ll very quickly see that what you initially see does not paint a clear picture of what is going on both outside and inside of the individual (in this case, myself). BIG note that this is not how good/poor mental health looks like for everyone, nor does any mental illness look the same from person to person. Everyone has mental health. Nowadays, gaining knowledge on the mental health movement is not only accessible, but easily shareable. Your own journey to better mental health need not begin in a psychotherapist or psychologist or psychiatrist’s office (though I highly recommend counselling even if you do not feel highly distressed). Mental health tips and knowledge regarding keeping up good mental health are everywhere nowadays! Self-development is often being paired with self-care. On Youtube, creators such as Lavendaire, Kalyn Nicholson, and Rowena Tsai promote messages of self-love and provide practical tips in a visually-appealing and soul-lifting manner. Check out some of my (forever ongoing!) YouTube playlists to get started. We hear a lot about the negative implications of social media. But these platforms can also be used to share information and share ideas. There are many mental health bloggers, self-help gurus, and self-love strivers on all social media platforms, if only people look for them. It is very easy to share and pass on knowledge nowadays – so we should make the most of it! I follow and share a lot of posts and mental health inspiration through all of these platforms, so check me out and check out others who do similar work! Everyone has mental health. We can start actively promoting good mental health by practicing being kind to ourselves. 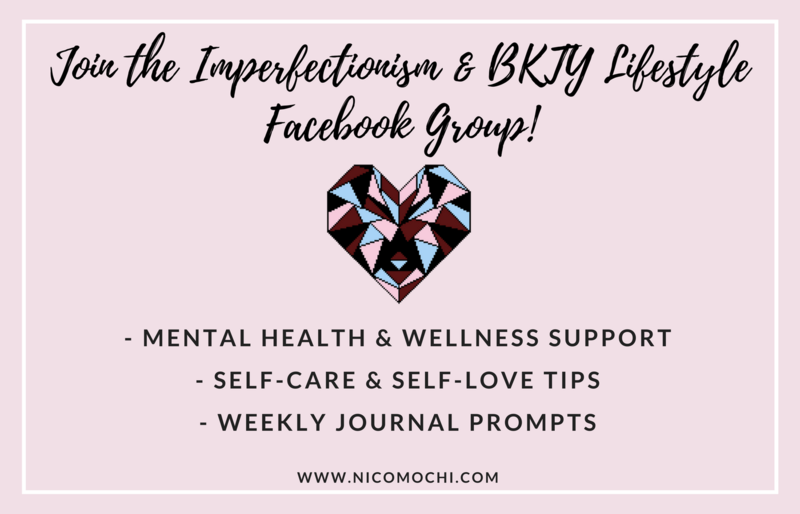 On this blog, I promote two messages of self-love and self-care: embrace your imperfections and BKTY (be kind to yourself). I call the striving toward living with these core beliefs, the “imperfectionism lifestyle”. I believe that the imperfectionism lifestyle forms the foundation of good mental health. “Good mental health means embracing your imperfections and being kind to yourself through all of life’s challenges”. This is just what I have been looking for! Great post!